This story starts, as so many stories do, with some biscuits. That’s cookies, to my American readers. 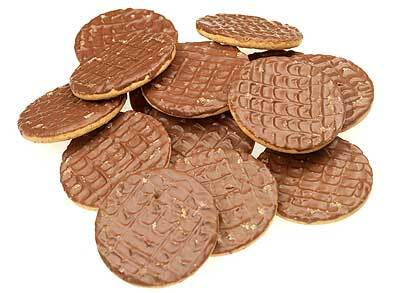 Milk chocolate digestives, to be exact. You see, I ate about a dozen of them the other day in the office. They were there, just sitting in front of me. I was doing mindless work in a desolate meeting room… it happens. I wasn’t thrilled that I’d eaten so unhealthily (especially since that was my lunch) and was dreading the inevitable sugar crash, but didn’t really give it much thought. I only regret that they weren’t dark chocolate. However, a while later one of the women from the office came in to fetch the biscuits to share amongst the rest of the office. She took notice of how many I had eaten, gave me a dramatically conspiratorial wink, and said “aren’t you wicked!” before walking out the door. Guys, I was stunned. My gut reaction would have been to burst out laughing at the fact that someone had actually said something so ridiculous, but I was too taken aback by the realization that a lot of people wouldn’t see her statement as ridiculous at all. See, one of my pet peeves in regards to the many gendered ways in which we talk about food is our use of moral terms to describe eating. We refer to eating a salad as “being good” and to eating chocolate as “being naughty” or “being bad”. If we want to justify having something unhealthy for dinner, we say, “I was good all day”. Can we stop referring to eating as “indulging”, please? Here are five reasons to stop using moral language in relation to food and eating. 1. It’s bound to make you feel crappy. I used to talk to the high-school students that I worked with about the enormous and complex pressures that teen girls feel to be “perfect” in every area of their lives: academics, athletics, friendships, families, relationships, and appearance. Basically, these pressures are bound to make us all feel like we’re falling short in at least one way or another. But by using words like “good” or “bad” to describe eating, we’re presenting “thin” as not only a societal aesthetic ideal, but also as proof of one’s moral superiority. (Side note: many societal ideas about eating are tied to ideas of weight. I’m using the two side-by-side in this post to reflect the societal message that over-simplifies the relationship between the two. I am NOT by any means trying to equate eating unhealthily with being fat, or eating healthily or dieting with being thin). Tying weight to personal value in this way adds to the pressures we already feel trying to live up to the standards that have been set for us. Just like failing a test, missing a game, or getting in a fight with your parents doesn’t mean that you’re a bad person, neither does eating some cake. 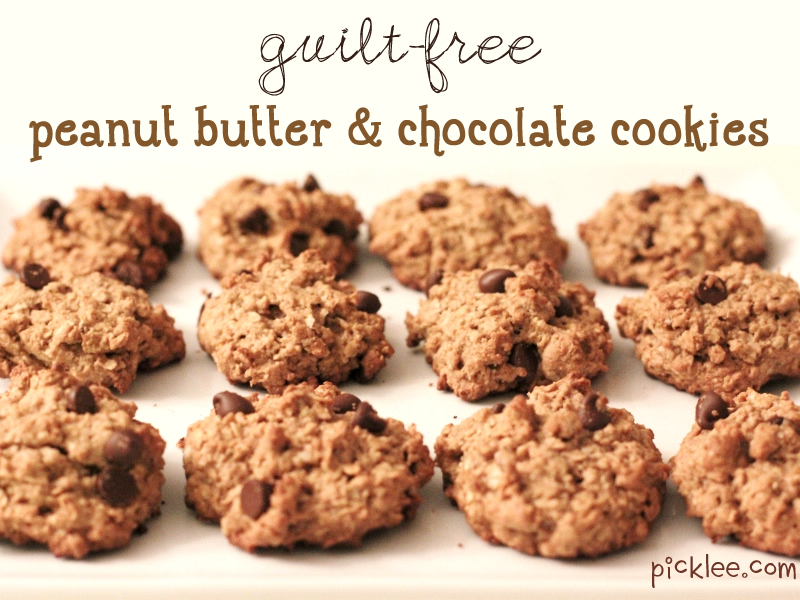 What, no animals were harmed in the making of these cookies? 2. It can feed into disordered eating mindsets. These messages are especially dangerous to girls or women who are predisposed to eating disorders. Eating disorders often involve feeling like you’re not “good enough” and feelings of guilt, so media messages that reinforce the idea that you’re supposed to feel “guilty” for eating something sweet or fatty only fuel that self-loathing. Adding to this is the fact that reduced-calorie or low-fat versions of “bad” foods are often described as “guilt-free,” reinforcing the idea that certain foods SHOULD be eaten with guilt. The flip side of this equation is just as dangerous; if not eating = good, then eating = “bad” or morally wrong. Given that media messages and advertising tend to promote the mistaken idea that the relationship between diet and weight is a direct one and that just eating less will cause anyone to lose weight, it logically follows that we’ll come to see thin as “good” and fat as “bad”. In our society, being thin is equated with being virtuous. Being fat is a sign of laziness, “letting oneself go”, not being vigilant enough. We’re sold this myth that if you just try hard enough, if you’re just “good” enough, you too will be thin and therefore beautiful. 4. … which, besides all of the obvious ways it’s crappy, can be literally hazardous to your health. As someone who benefits from thin privilege, this hashtag was eye opening to me. 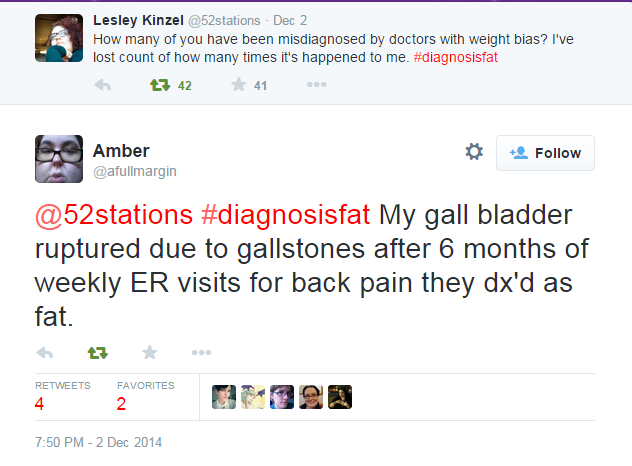 The recent hashtag trend, #DiagnosisFat, highlights the very real-world dangers involved with this societal view. In this hashtag, people provided examples of poor medical treatment they received because the doctors assumed that every health problem they had was a result of their weight, and therefore could be solved by losing weight. 5. It just doesn’t make sense. Eating is something we all have to do. It also happens to be something that some of us enjoy as well. It’s time we stop stigmatizing that. For many people, eating healthily is a way to take care of their bodies, and they enjoy both the healthy foods themselves and the way they make them feel. For many people, eating something purely because it tastes good is a way to make themselves feel good. Food is a physical pleasure, just like a massage, a run, or a bubble bath, but none of those things ever get branded as “wicked”. And you know what? For many people, both of the above are true. So if you’re starting to think about New Year’s resolutions, it might be worth it to stop referring to food and eating in moral terms. Doing this will not only be positive for your own mindset, but it will send a subtle message to those around you that food and weight aren’t a measure of someone’s worth or morality. Because “wicked” would have been poisoning the other half of the biscuits before sending them back to the office. “Wicked” would have been eating them as a group of starving children looked on. But simply eating some cookies? Not wicked. Not even close. ← Holiday shopping links round-up! Yes x5. And it’s such a gendered thing, isn’t it? I’m trying to remember if I’ve ever had a conversation with a man like the one you describe with your coworker — and drawing a blank. Women are not only inhabitants of the more scrutinized bodies (in both shape and habitus), but also the designated keepers of morality and virtue. Absolutely! That’s a really insightful way to put it – “the designated keepers of morality and virtue”. Sigh. 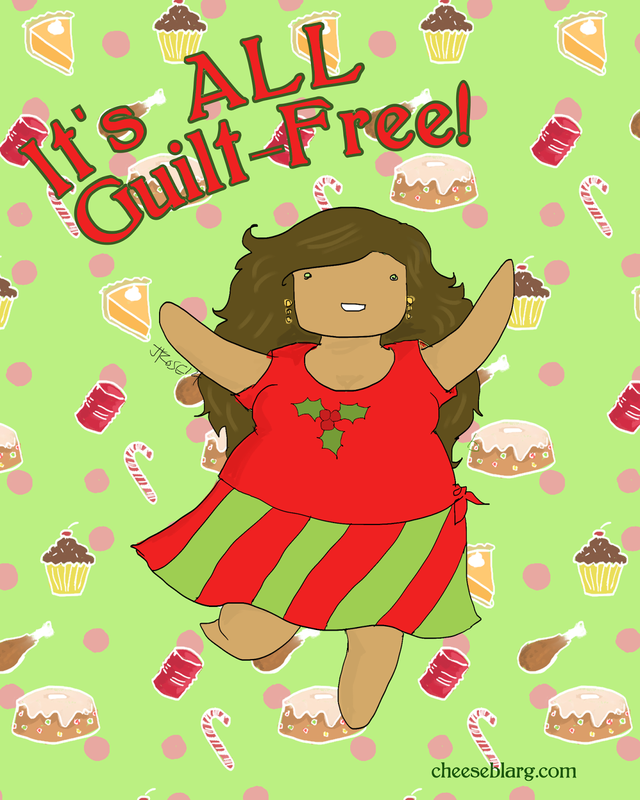 I so agree, guilt free eating is a huge trigger for eating disorders as well as a skewed way we think about food. Notice men are not subject to these “moral” words about food as much? My favorite is that the word “decadent” that we use to describe the perfect chocolate cake essentially means morally corrupt. Most people don’t even know it’s definition. We need to stop putting so much moral value on food! It’s fuel, not a sin. It’s funny, the little girl I nanny for likes to pretend to be ‘a bus’ (she pretends to be all kinds of things) so when I’m trying to get her to eat lunch I’ll explain that food is fuel that helps the bus to go fast… I definitely think that my experience with eating disorders has influenced that – I want her to understand that food helps her grow and be strong!